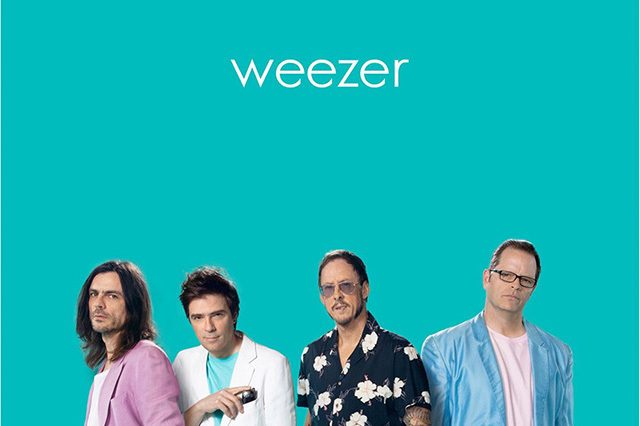 Review: Weezer (Teal) | The Gettysburgian. Considering the success of “Africa,” I wasn’t too surprised when the Teal album suddenly dropped on January 24th. An album consisting entirely of covers of popular songs makes too much sense for the group. The now-famous “Africa” is joined by covers of A-ha’s “Take On Me,” Black Sabbath’s “Paranoid,” Michael Jackson’s “Billie Jean,” and Electric Light Orchestra’s “Mr. Blue Sky” (as made famous last year by Guardians of the Galaxy Vol. 2). The tracklist panders to the lowest common denominator with songs that both millennials and their parents can sing along to. There’s nothing on Teal that stands out as particularly awful or offensive, the problem with Teal is that its viciously unremarkable in just about every way. The greatest covers bring something new and notable to a familiar song. Despite being based on existing songs, they require a lot of creativity. Only a few months ago, Ty Segall released his own covers album, Fudge Sandwich. Love it or hate it, listen to his cover of “Isolation” by John Lennon and try to deny that he made the song his own. In comparison, Weezer’s Teal feels so sterile and safe that it’s almost as if it was formulated by a board of directors in an office trying to figure out the equation for a sure hit. Still, I will give credit where it’s due. “Stand By Me” is notable for being the only track on this album that feels like more than the absolute minimum amount of effort went into it. The combination of retro synthesizers and electric guitar power chords in the chorus make the tune feel like it came from an alternate universe where Ben E. King was a glam rocker. It’s easily recognizable, but for a song that has been covered by the likes of John Lennon and Florence + The Machine, Weezer manages to carve out its own little space here with their version. I wish there were more covers like this, but for the most part, the entire album feels as predictable as painting by numbers.